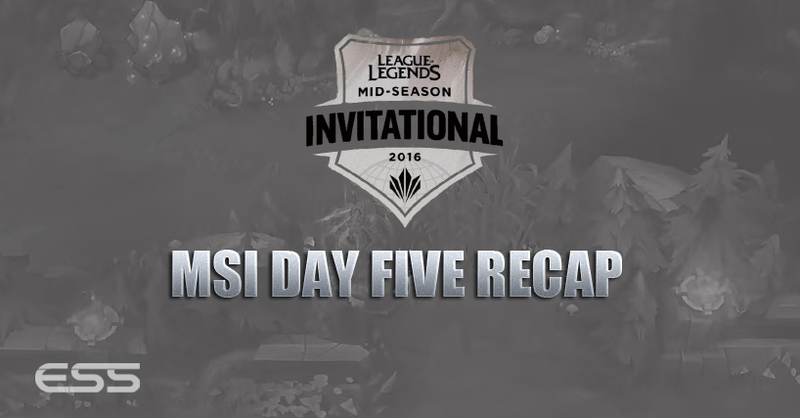 It’s Day 5 of the second annual Mid-Season Invitational in Shanghai, China. We’re currently still in the group stages but remember, the two teams with the lowest record will be eliminated by the end of today. 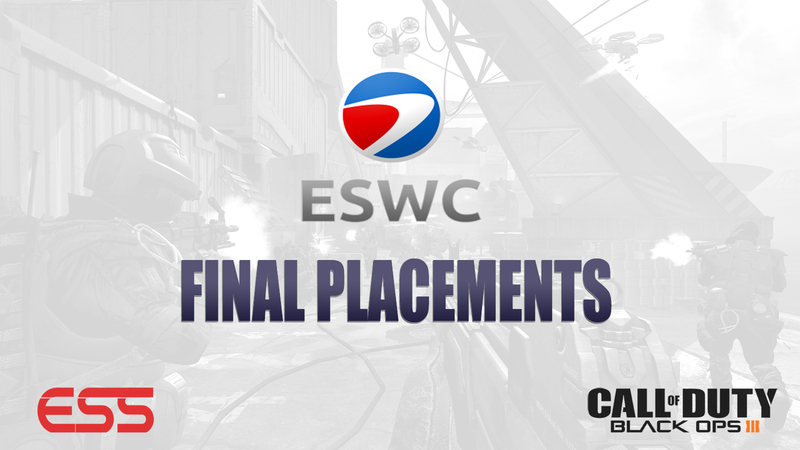 The remaining four teams will move on to the knockout stage, which runs May 13th – 15th. Missed out on today’s action and want to know what happened? Read below. 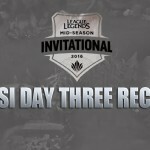 Day 5 began with the best team at MSI, RNG, facing off against bottom of the table, SuperMassive. Things started well for the Chinese team as they took an early lead over the Turkish side, getting a first blood onto SuperMassive’s jungler within the 1st-minute. A minute later things went from bad to worse for the wildcard team when their top laner, ‘Thaldrin’, was taken down by the RNG’s duo lane. By this point RNG had catapulted to an early game advantage, securing 2 kills onto their late game carry, ‘Wuxx’, who was on Twitch. 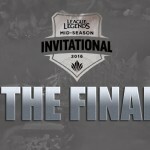 Trades continued to go in RNG’s favour throughout the game and upon taking the Baron on the 20th-minute, RNG had established a 10K gold lead. 2 minutes later, with their Baron buff, RNG were able to push down mid lane and capture the nexus turrets with ease – wiping aside a SuperMassive side within 23-minutes. Counter Logic Gaming and Flash Wolves came into this game jostling for position of 2nd place heading into the playoffs. Things got off to a good start for CLG, developing a good early game lead due to macro play and a slight tower advantage. Then, by the 13th-minute, CLG were able to secure first blood onto their top lane carry ‘Darshan’ and his Ryze. The game remained fairly quiet until the 20th-minute mark, when Dragon and Baron control became more contested. As CLG picked up their 1st Dragon of the game, denying FW’s 3rd Dragon of the game, FW’s were able to grab kills on 3 retreating members. Despite having a kill lead, FW’s never seemed in control of the game. They gave up a Baron for free in the 28th-minute game, giving CLG a 5k gold lead heading into the 30th minute. With Baron buff active CLG were able to push down the bottom lane minion wave and grab an inhibitor and 3 kills. By the time the next Baron spawned at 36-minutes CLG had a 9K gold lead. As both teams danced around the Baron pit CLG found an opening to engage. They took down 3 members of FW’s and pushed on to win the game. Having a 2-0 day yesterday, SKT were looking to push on to try and achieve a potential 3rd place finish. 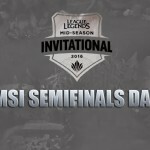 They looked likely to win this game early on, when SKT was able to cleanly execute a turret dive 4-minutes into the game on G2 top laner ‘Kikis’. SKT went even further ahead by the 10th-minute, securing another 2 kills in the process after great ganks and counter ganks by jungler ‘Blank’. By the 16th-minute, SKT were 5 kills ahead of G2 and had developed a 4K gold lead. 10 minutes later that had capitulated to 11K gold lead and a 15-4 kill advantage. SKT was dominating the map and the flow of this game and had still not lost a single turret. Just before the 29th-minute SKT were able to catch out and kill 3 members of G2 in their own red side jungle and push on to win. Flash Wolves looked to bounce back after their earlier loss to a CLG with a win over bottom-placed SuperMassive. They got off to a great start as well when in the 11th-minute of the game, ‘NL’ was able to pick up first blood onto his late game scaling ADC, Tristana. By the 18th-minute Flash Wolves had asserted their full dominance onto the game. They had secured 5 kills and taken 2 dragons. They were dominating in map control and continued to squeeze SuperMassive of their objectives. 34-minutes into the game, possessing a near 10k gold advantage, Flash Wolves were able to push down the bot lane and grab 4 kills onto SuperMassive and win. After losing to CLG earlier in the split the European fans were hoping for a better display this time round. 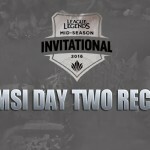 They must have been licking their lips within 6-minutes when ‘Perkz’ was able to 1v1 ‘Huhi’ in the mid lane to pick up first blood. 2-minutes later and the European side looked to press their advantage by ganking ‘Huhi’ in the mid lane. 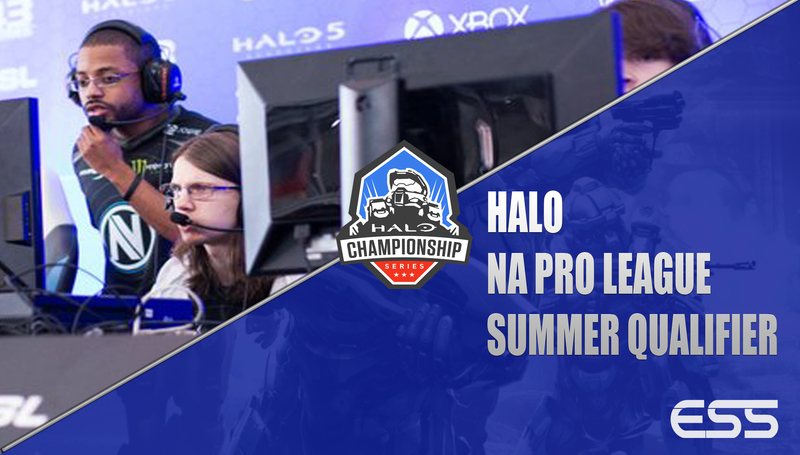 Despite picking up the kill, CLG were able to catch them as they retreated from the tower. CLG were able to pick up 2 kills and tie the gold lead. With CLG holding the momentum with them 2 kills in the mid-lane, ‘Aphromoo’ and ‘Stixxay’ were then able to pick up 2 kills in the bot lane onto ‘Emperor’ and then ‘Kikis’, whose teleport to save ‘Emperor’ was a miss play to say the least. ‘Trick’ and ‘Hybrid’ were able to respond with kills onto ‘Aphromoo’ and ‘Stixxay’ moments later, but the NA side remained 1k gold ahead as the game neared the 12th-minute. 5-minutes later and a fight ensued near Baron pit. A teleport by ‘Darshan’ in behind enemy lines saw CLG take down 4 members of G2 Esports. The Maokai, played by ‘Darshan’ for CLG, was huge and became an unstoppable force in this game. With Baron spawning at the 20-minute mark, CLG had superior vision and used it to their advantage to catch out 3 G2 members mid lane. They turned their focus then to Baron and secured it. Upon recalls, CLG pushed down mid with their Baron buff and overpowered G2 Esports. They took the game with a 10k gold lead by the 23rd-minute mark, one of the fastest games of the tournament. CLG now have secured a 2nd place finish in the group stages whilst G2 are eliminated from the competition. SKT and Royal Never Give Up faced up against each other for the last game at these group stages. SKT and RNG’s last game was possibly the best game of the tournament and this game started off with the same intensity with RNG picked up 4 early kills in the bot lane thanks to huge plays from their jungler, ‘mlxg’, who picked up 3 kills in the process. Despite the 4 early deaths, SKT to their credit remained relevant. They responded with a kill onto ‘mlxg’ and was able to find themselves with a gold lead due to their turret advantage over RNG. That gold lead for SKT was soon recouped by RNG as they were able to catch out SKT and pick up 3 kills of their own. At 24-minutes, the first real team fight ensued around Dragon. As SKT picked up Dragon they retreated down the narrow path towards their blue buff – RNG collapsed but an amazing team fight focus by SKT saw the Korean Champions, who have underperformed this group stage, grab 4 kills of their own. 4 short minutes later and RNG responded with 4 kills of their own, catching out ‘Faker’ with a Bard ultimate and cleaning up the team fight. With this, they pushed on to Baron where SKT’s ‘Duke’ followed. They peeled off Baron to take down ‘Duke’ for the delayed ace. The games fast-paced start was hugely reminiscent to their early matchup earlier in the tournament. 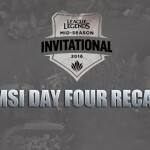 Team fights started to occur everywhere, not least at 37-minutes when RNG was able to pick up another 3 kills and the Baron. Despite having Baron, RNG was unable to force a team fight during this time. SKT were able to wait it out and instinctively sneaked Baron buff upon its respawn at the 45th-minute. RNG collapsed immediately following the taking of the Baron buff and was able to pick up 4 kills onto SKT. The game looked to be in RNG’s favour with them winning every team fight convincingly. But, at the 48th-minute mark, despite being 7K gold down, SKT were able to win their first team fight in a long time. The key was they managed to keep ‘Faker’ on Lulu alive to shield and output damage throughout the fight. They took this team fight 3-1 and were able to charge down the mid lane to take down a turret, inhibitor and a nexus turret. With SKT well back in this game and both teams nearing full 5 item builds the game was in anybody’s hands. Then, at the 52nd-minute, the game winning team fight happened. A failed ult by ‘Mata’ on Brand saw SKT sweep the team fight 3-1 and push down mid to take the win and set up a playoff match against the Chinese.